The old Oxygen website had a whole bunch of features and functions that were meant to make Oxygen’s job easier, but none of them worked. 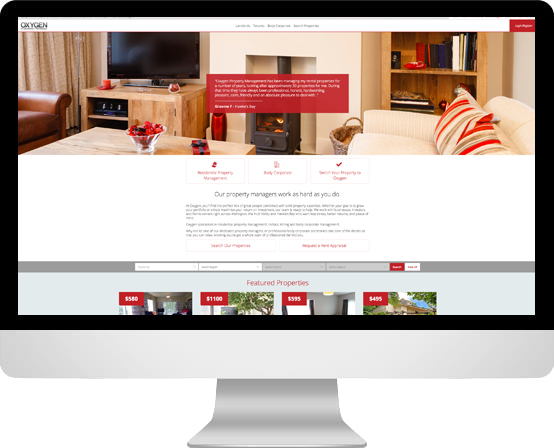 So we built a new site that communicated with their agents, their growing database of properties and their tenants. In short, we built them a site that not only works well, but also does a whole lot of the work for them.